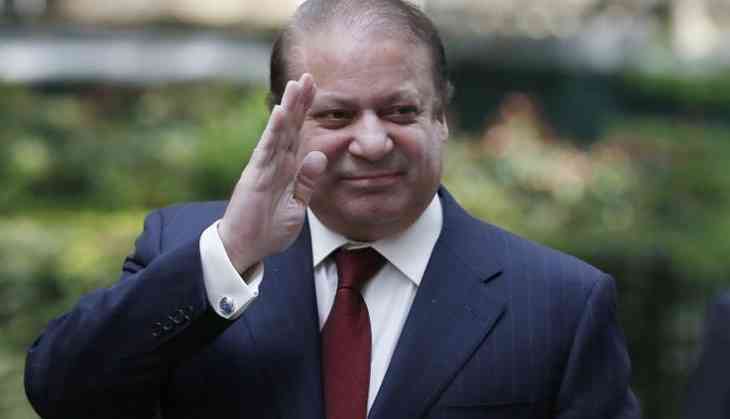 Jailed former Pakistan Prime Minister Nawaz Sharif will on Tuesday appear before the Accountability Court in Islamabad for the hearing in the two remaining references against him and his family. The Al-Azizia and Flagship Investment references are the two that will be heard by the Accountability Court II Judge Mohammad Arshad Malik. On Monday, the Panamagate Joint Investigation Team (JIT) head and the prime witness in the prosecution, Wajid Zia, was cross-questioned by Nawaz's legal counsel Khwaja Harris, who will continue interrogating the former today. Prior to adjournment of the hearing yesterday, Judge Malik had called for Zia and Sharif to appear before the court today. A Supreme Court bench, headed by Chief Justice Mian Saqib Nisar, and including Justice Umar Ata Bandial and Justice Ijazul Ahsan, had on Monday extended the deadline to conclude the remaining references against Sharif and his family by six weeks after Judge Malik had sought the same via a written application. The trial against the Sharifs had started on September 14 last year and after extending the original six-month deadline four times, the court had announced its verdict in the Avenfield reference on July 6. Nawaz and his two sons, Hussain and Hasan, are accused in all three references, while his daughter Maryam and son-in-law Captain (retd) Muhammad Safdar are accused in only the Avenfield reference. Sharif, Maryam and Safdar are behind bars in the Adiala Jail in connection with the Avenfield case. Hussian and Hasan have been absconding ever since the proceedings began last year, with the court having declared the two brothers as proclaimed offenders.